Homeland Security Warns of Java Vulnerability » Accounting Advisors, Inc.
Computer security sites across the Internet lit up last week with the news that hackers are actively exploiting vulnerabilities in the ubiquitous Java software that resides on many computers. In a rare move, the United States Computer Emergency Readiness Team (US-CERT) advised all computer users to immediately disable Java within their browsers on any platform, including Windows, Mac, Linux, and Solaris. Hackers are actively exploiting Java to control affected computers, potentially installing malware, attempting identity theft, and other malicious actions. Over the weekend, Oracle released Java 7 Update 11, which reportedly patches this vulnerability. All computer users that have Java installed on their computer should install this patch immediately. Another alternative is to disable Java in all web browsers. US-CERT, sponsored by the US Department of Homeland Security, offers more details and remediation guidance on its website. Oracle Java 7 Update 10 and earlier reportedly are being actively exploited by hackers. It's possible that some earlier versions, such as Java 6, aren't affected, but to be safe, all users should immediately disable any version of Java or install Java 7 Update 11. Java 7 Update 10 and later offer a check box to disable Java in web browsers, but earlier versions of Java don't offer this feature. To access Java on a Windows computer, locate the Java icon in the Windows Control Panel. 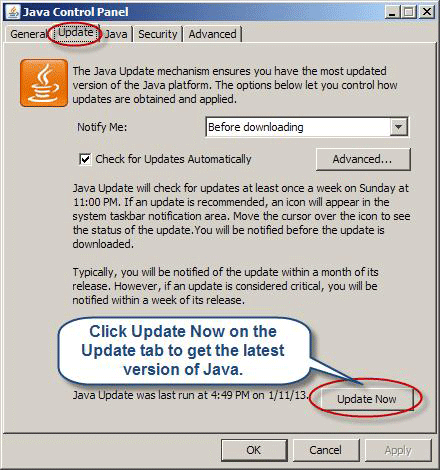 Click the About button on the General tab, as shown in Figure 1, to determine the version of Java you have installed. If it reads Version 7 Update 11, you have the latest version of Java installed. In this case, you may still wish to disable Java. To do so, close the About Java window and click on the Security tab as shown in Figure 2. Deselect the Enable Java Content in the Browser check box and then click OK. 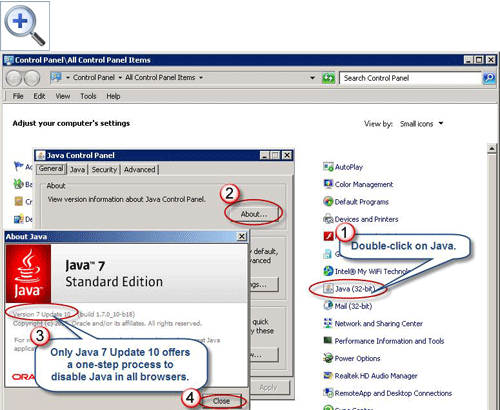 Figure 1: Click the About button on the General tab of Java's Control Panel icon to determine your Java version. 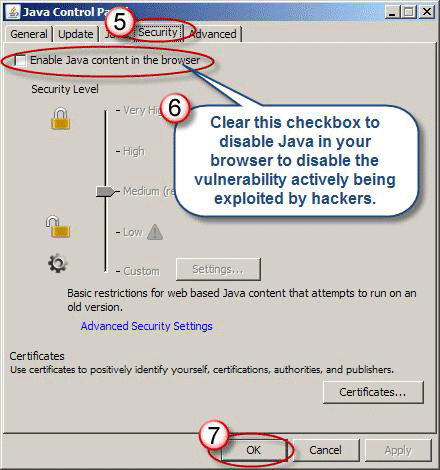 Figure 2: Java 7 Update 10 and later allow you to disable Java by deselecting a check box. 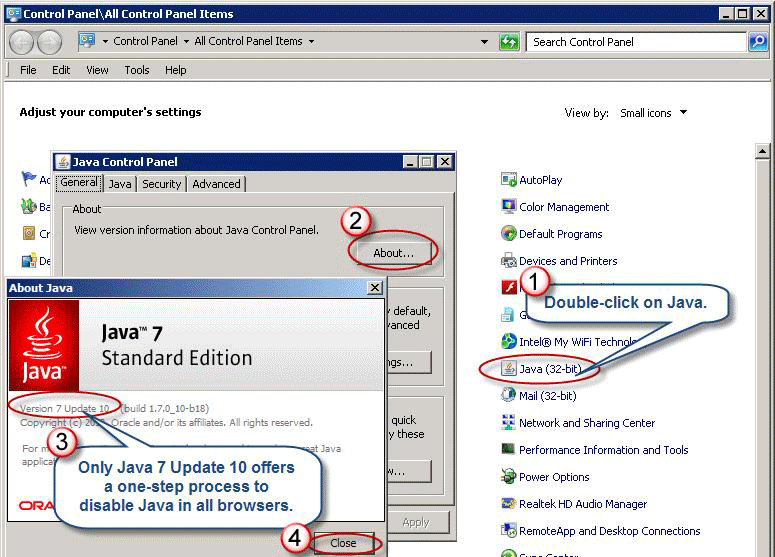 Figure 3: You can download the latest version of Java from within the Java Control Panel. On a Macintosh OS X computer, launch a Finder window, search for Java, double-click on Java Preferences, and then follow the aforementioned instructions. Oracle offers specific guidance on removing Java on its website.